I have this recipe for over 7 years now. 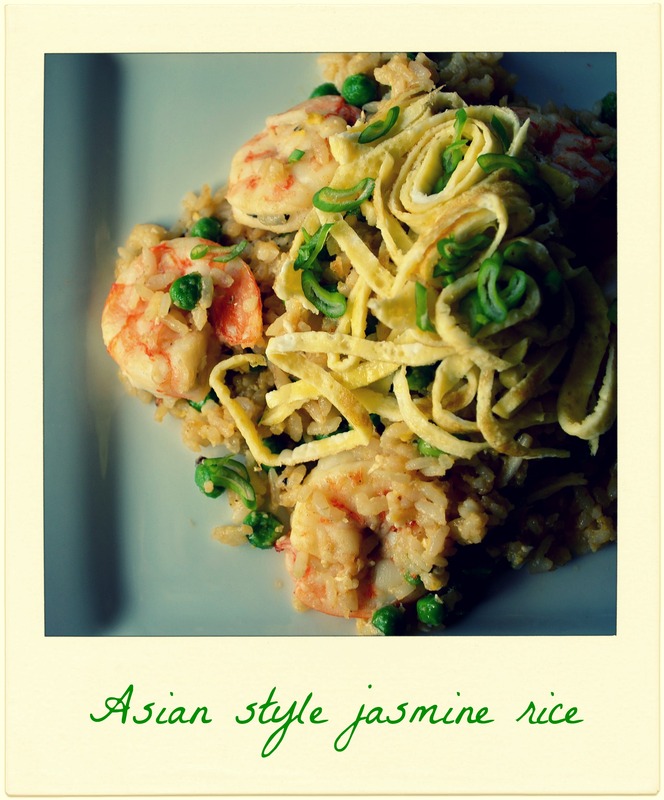 The first time I made this, was also the first time I ever cooked for my someone. 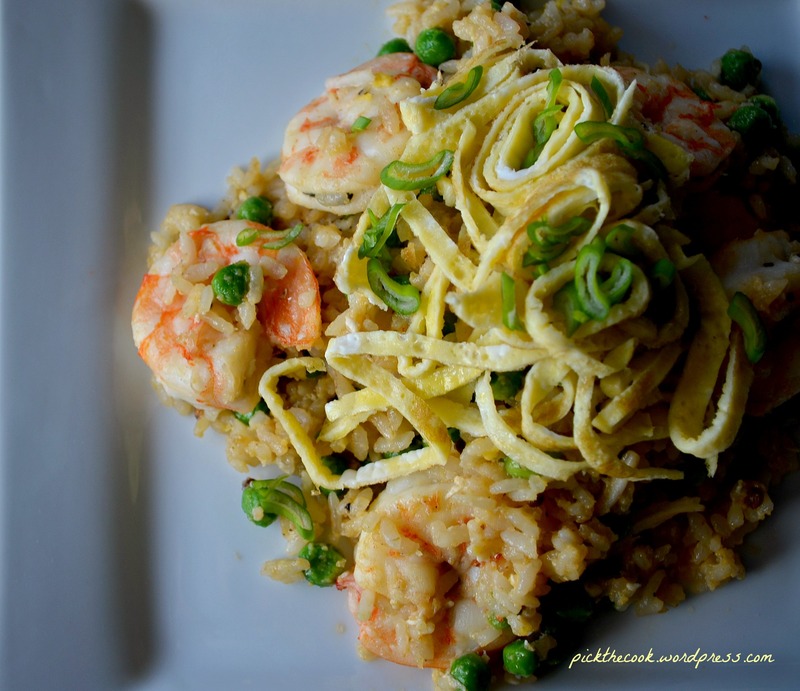 That makes this dish one of my favorite and it’s with good reason because it’s really amazing. Before doing anything else, wash the rice in cold water and steam it (add a little bit of olive oil, some salt and the bay leaf). 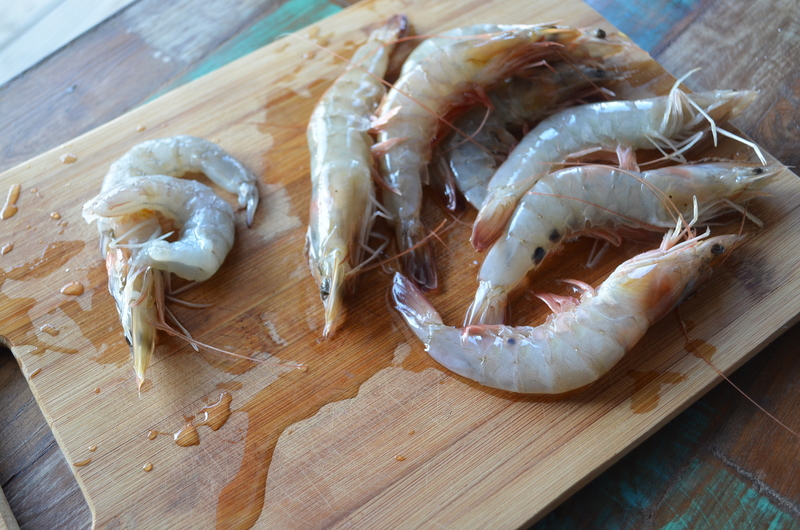 Peel the shells off the shrimps, cut the heads and wash them well. 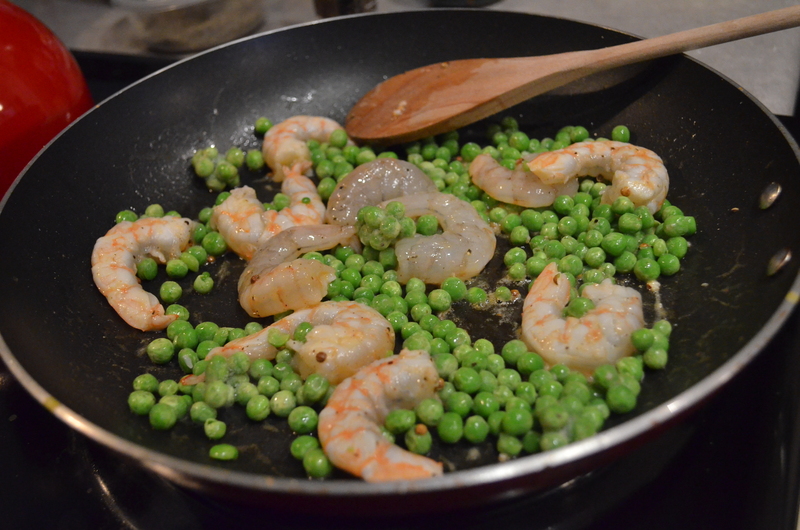 Heat a large frying pan, add the butter and 1 tbs olive oil and start cooking the shrimp. After 2 minutes add the peas and half tbs of coriander (smashed in a mojar) and cook for 10-15 minutes on low heat. 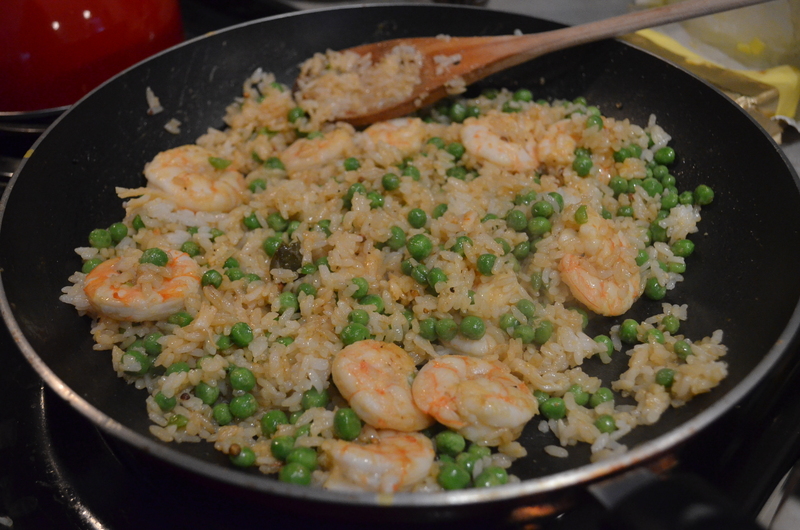 Add the rice to the shrimp and peas. Drizzle everything with another tbs of olive oil, add the rest of the coriander, pink salt to taste, pepper and the soy sauce. Crack the eggs and beat them lightly. Add half of the eggs over the rice and mix well until the egg coagulates completely. Pour the rest of the eggs in a heated pan and spread it in order to obtain a very thin omelette. Let it cook for 2- 3 minutes on low heat. 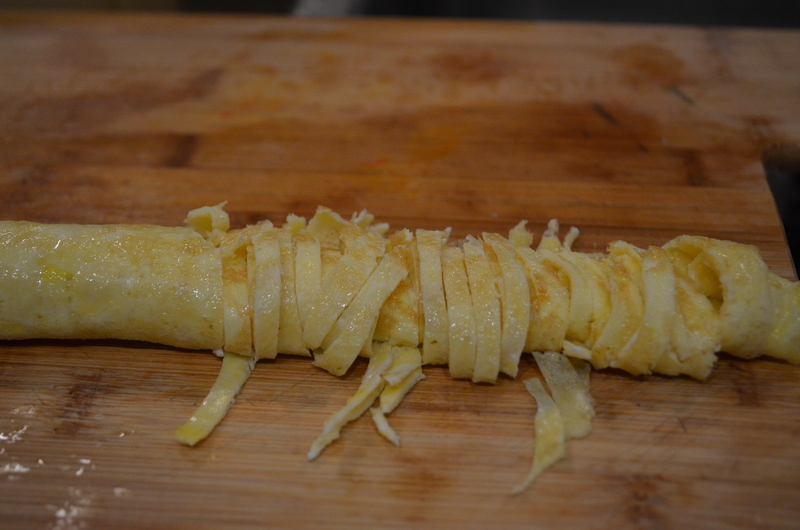 When it’s completely cooked, remove from pan, roll it and cut it in thin stripes.